When my February edition of VegNews arrived I was more excited than normal to dive into plethora of amazing recipes and articles that VegNews never fails to deliver to its readers. Back in October I had the pleasure of photographing for February's I Want Candy article - the recipe was amazing and even more awesome was seeing the picture I shot and my name listed on the right hand corner of a VegNews magazine page! 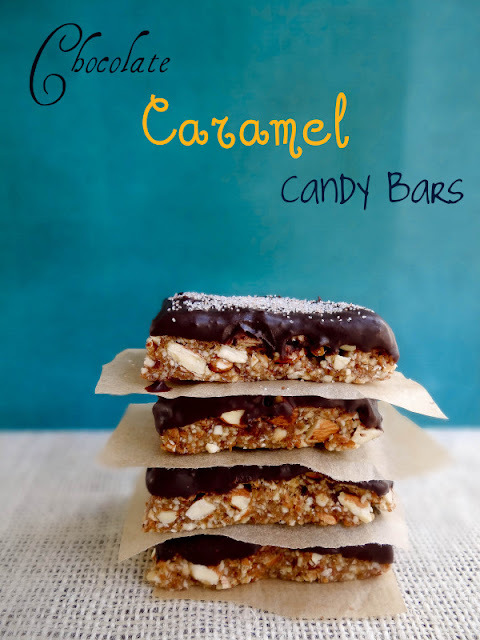 The candy bars are super simple to make and I am sure the majority of you have all the ingredients to whip these up. After the holidays I am sure a "candy bar" is the last thing you want to see, read or eat, but this candy bar is special - full of heart healthy almonds, dates and maca dipped in a little or a lot of chocolate, it is a sweet treat you can feel good about indulging in. 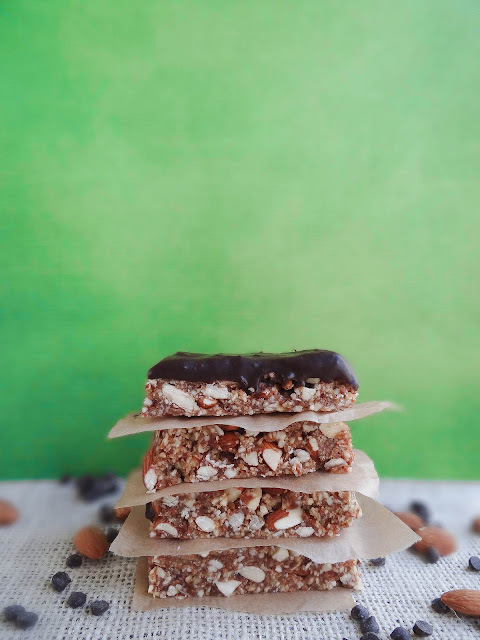 The magazine suggests for an all raw version simply omit the chocolate, however I do know Cara at Fork and Beans has an amazing Raw Chocolate recipe you could sub in for vegan chocolate chips. For this amazing recipe and a whole lot of other amazing articles and information head over to VegNews for your copy today! wow! congrats on being featured in veg news! these bars look terrific! So awesome girl! Congrats! That's a candy bar I totally wouldn't feel guilty about sinking my teeth into! so awesome!! congratulations Heather.. i love your pictures.. the colors always mesmerize me.. crisp and fresh colors.. a color poetry really! Those looks heavenly!!! I have to try them! These photos look utterly gorgeous! Oh my goodness these look so delicious!! Congratulations! I missed this post because it never showed up in my reader...So I'm a little late, but congratulations, how exciting for you! I'm not one to eat storebought chocolate bars, but these look like a candy bar I would definitely enjoy!